Before attempting to log in to the file server you need to either be connected via physical network cable on campus, or connected to the campus VPN. 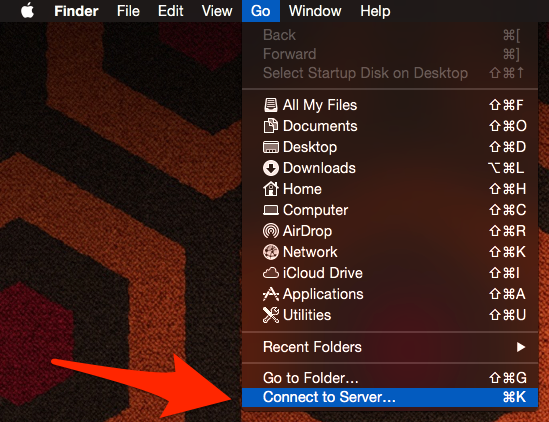 Click the Finder icon in your Dock. 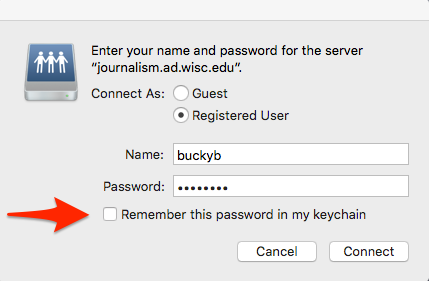 In the Server Address: field enter smb://journalism.ad.wisc.edu/journalism and click Connect. In the window that appears enter your UW NetID. This is not your firstname.lastname address you may have switched to when moving to Office 365. Your NetID never changes. 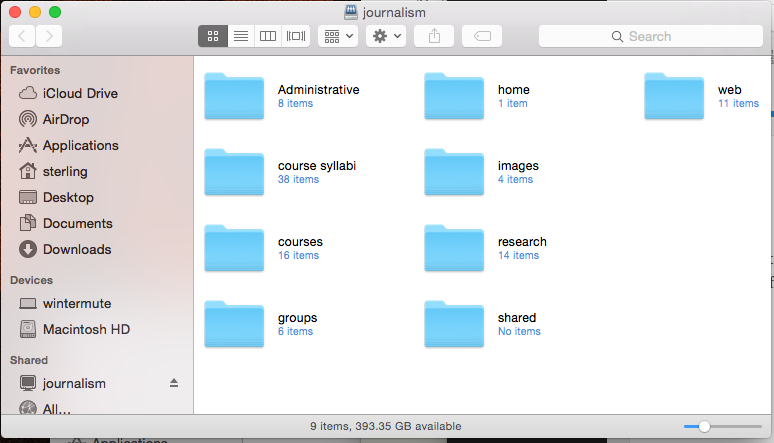 You should see a a window with the SJMC file share folders. Your view may differ depending on your permissions. If the user name and password window shakes when you click connect that means you have entered your credentials incorrectly. Ensure you are using your NetID, and the correct password for your account. A window stating there was a problem connecting to the server means you either have no internet connection, you are not on the campus network or connected to the campus VPN, or you are trying to connect using the old, AFP method. See the notice at the start of this article for information on installing the campus VPN client.